Given its competitive price point, the Excalibur SE Spectrum keyboard is a bit of a revelation. It leverages optical technology for its keys, which offers some surprising benefits worth taking note of. Of course innovation does not mean much if the functionality does not deliver. The good news is, this keyboard executes on that delivery almost flawlessly. I admit that I had to do a little research on this one. I had heard of optical switches, but never actually used one before. The idea has been around for a long time, and the premise is that a beam of light provides the feedback as opposed to a physical mechanical push. Obviously given how fast light travels, the potential for a fast and responsive key press was at the forefront of my mind when testing this keyboard out, and I was happy to see that the Excalibur delivered on that promise. What was more interesting to me however, were the additional benefits to this model. The major one is that because you are not relying on mechanical moving parts, the keyboard is inherently resistant to outside sources of damage (the most common of which are liquid spills and the collection of dust beneath the keys). Not only does this technology cut back on those potential perils, but in general with fewer moving parts, it is hard to imagine that the keyboard won't have a longer life expectancy in the end either. As for how well the actual keys work, I would have to opt for the adjective 'flawlessly'. I put this keyboard through its paces, looking for any sign of degradation or error, but all of my key strokes registered during my time using it. Another cool benefit to the optical style of switch is that the traditional metal debounce that can occur with regular switches is eliminated. In other worse, the dreaded occasional 'double tap' should not be an issue when you fail to completely finish a keystroke, which on traditional keyboards can lead to duplicate letters. Visually this is a very nice keyboard, typical of the Tesoro style - which is to say black with brightly backlit keys. There are quite a few different lighting modes available, and some convenient macro recording options. However, as a gaming keyboard, some of the power found in other similar keyboards might be lacking, with less customisation options. While I am not always the biggest fan of the software that comes with the Tesoro keyboards, it does offer a level of customisation and control over your experience that is quite nice. Here everything is delivered via keystrokes on the keyboard itself, without any drivers or additional software. That is convenient, but again, lacking in options. 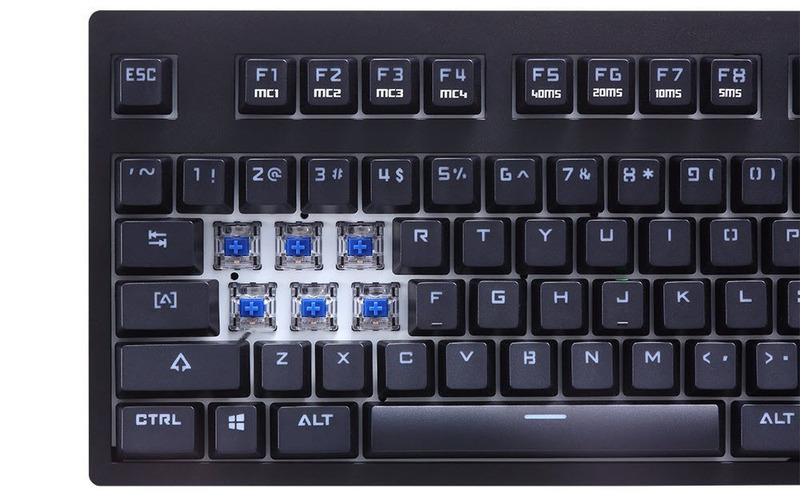 The lacking customisable options could be seen as slanting the Excalibur to general typing than for gaming purposes, and that is a fair assessment of the keyboard's limitations. This is likely why the keyboard rings in at just under one hundred dollars as well, because it does have a few options missing that you might find in far more expensive keyboards. That being said, the combination of durability, aesthetics and pure functionality do make this a fantastic overall value. If you are more interested in specific keystrokes registering quickly, it would be hard to top this unit. 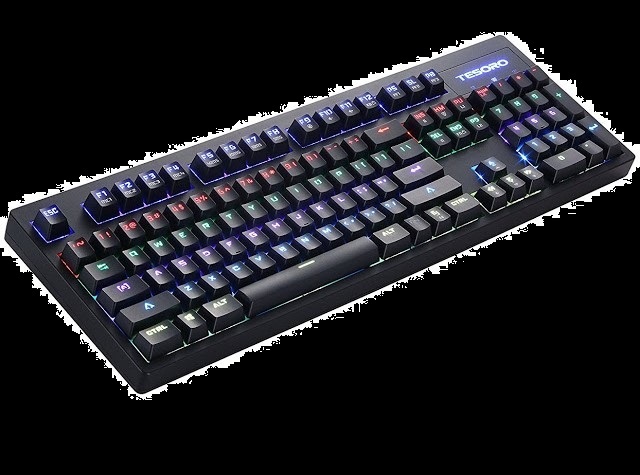 The Excalibur SE Spectrum Keyboard delivers a lot of value for its price point. It also deserves credit for a willingness to work with a different kind of switch technology that should pay dividends towards longevity of the hardware, which is not an insignificant concern. The performance is excellent, though it may be lacking a few of the features found on more expensive gaming keyboards, so you'll have to decide for yourself if the focus - speed, durability and accuracy - of the Excalibur is what you are looking for most.